As we continue our look at all the incredible detail that the attractions of Walt Disney World entail, today we are taking a look at another of the Opening Day attractions — The Haunted Mansion! As you all know, the Haunted Mansion opened on October 1, 1971. While it is fairly similar to the attraction at Disneyland, there are some very distinct differences. For example, the Mansion at Disneyland is located in New Orleans Square, while the one at the Magic Kingdom is located in Liberty Square. As a result of the different lands they occupy, the time period and decor of the mansion is entirely different. Technically, both rides utilize the classic “Doom Buggy” car to take you on your tour of the mansion, but what you might not know is that the stretching room that you enter at the beginning of your experience operates differently! In the Magic Kingdom, the stretching room, while it gives the illusion of movement, doesn’t actually transport you anywhere — it is just the ceiling that raises. However, at the Disneyland version of the ride, the stretching room actually transports you down to the next level, very much like an elevator. That sounds so cool! 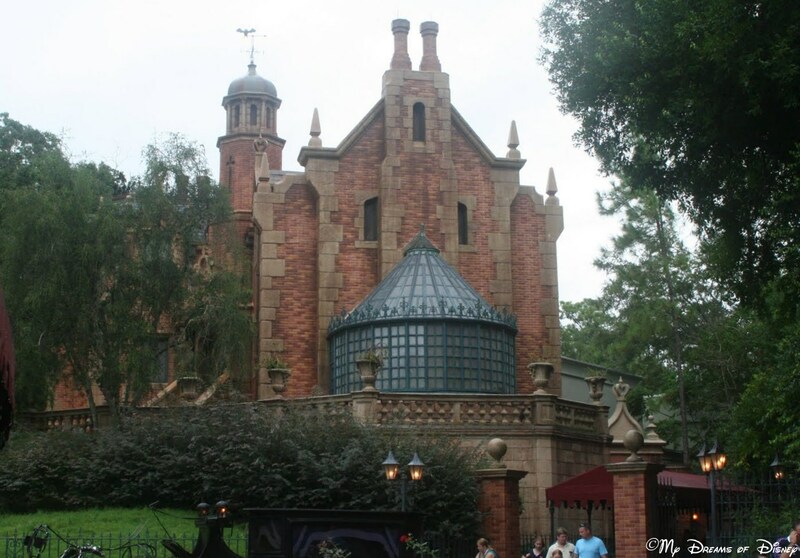 Did you know that the Haunted Mansion used to house FastPass machines? I don’t think they were utilized for a very long time, it was probably more of a test than anything. Lately, though, the Magic Kingdom and the Imagineers redid the queue line for the Haunted Mansion, and they turned it into two lines — one that takes you through the “interactive queue” and a second line that takes you right into the ride itself. Obviously the interactive queue is a slower moving line because there are other things to do and see, if you haven’t experienced that it might be helpful to experience that once, then just go through the faster line to get onto the ride itself. I was privileged to do a series of posts with my friends Terri from WDW Hints and Jonathan from Mouse and Memos back in July. There are a whole number of different things to discover about this classic Disney attraction. Jonathan, in particular, wrote a much more in-depth narration about the history of the Haunted Mansion, take a look at it for all sorts of details! Also, Terri wrote about how the storyline evolved — this was something she learned during a Keys to the Kingdom tour back in 2005. Check it out — it’s a great read! I know that I’ve barely scratched the surface here, but I hope you’ve enjoyed your ride! Now, to finish it off, which Hitchhiking Ghost did you get on your Doom Buggy? Let me know in the comments, and thanks! Hi Mike, its funny, I know that the stretch rooms operate differently, both have the same feel. I love the interactive queue, it is a great added feature! I can’t wait until my next trip! I absolutely love the Haunted Mansion! I love trying to take in all the details in the attic! Previous Post: My list of 10 places I want to eat at Walt Disney World!